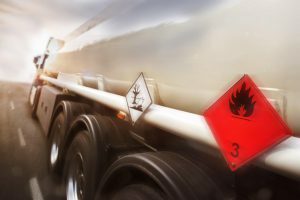 Tunisia has acceded on 11 December 2018 to the Protocol amending article 1 (a), article 14 (1) and article 14 (3) (b) of the European Agreement of 30 September 1957 concerning the International Carriage of Dangerous Goods by Road (ADR). This is considered as another highlight of the EuroMed transport Support Project. 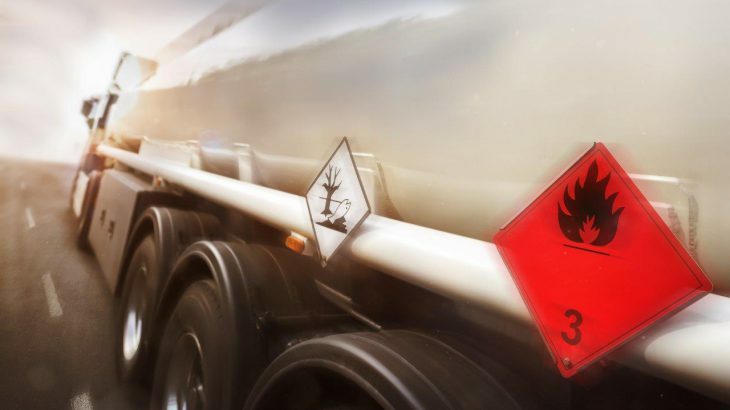 The Project Team would like to congratulate our Tunisian colleagues for this excellent achievement, which comes as an outcome of their participation to the last year’s sessions of the Working Party on the Transport of Dangerous Goods (WP.15), under the EuroMed TSP (and previously RRU) support. 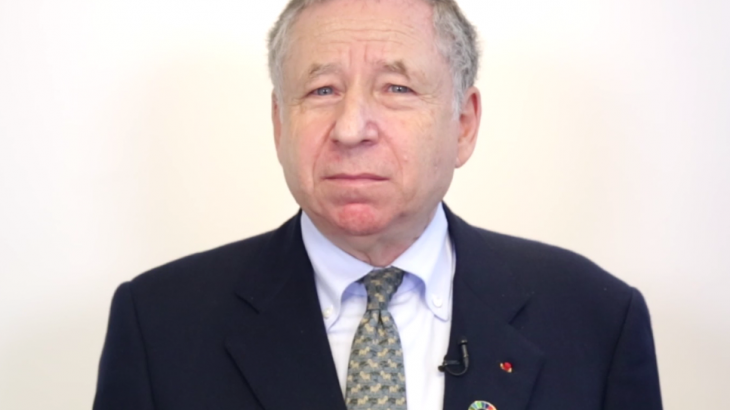 You can also see the UNECE website here. Members of the EuroMed team of Experts, comprising of the Urban Transport Key Expert, Mr. David Moncholí, Mrs. Marta Marta Sainz, International Projects and Relations Expert and Mr. Spiros Triantafillos, Transport Expert, attended the annual Polis Conference, held in Brussels, Belgium, on 6-7 December 2017. The EuroMed team of Experts had the opportunity to discuss with members of the Polis Management Committee and exchange views on regional city-networking schemes, the work done by the EuroMed Project and Polis, as well as possible ways of cooperation under Polis Global. The discussions will continue in the next period and more concrete results are expected. 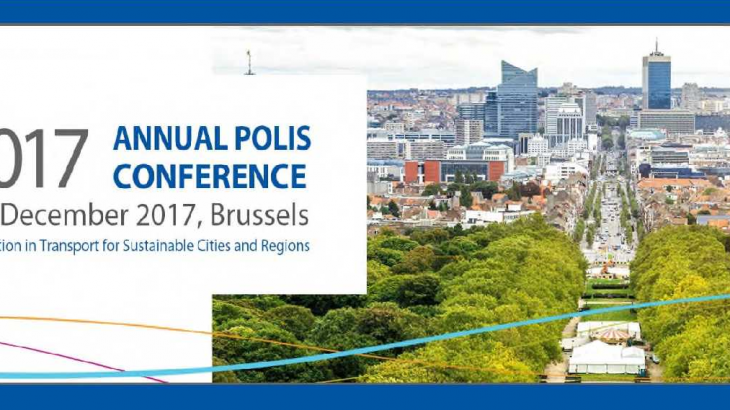 Polis is a network of cities and regions working together to achieve more sustainable urban mobility. The aim is to improve local transport through integrated strategies that address the economic, social and environmental dimensions of transport. To this end, Polis supports the exchange of experiences and the transfer of knowledge between European local and regional authorities and facilitates the dialogue between local and regional authorities and other actors of the sector such as industry, research centres and universities, and NGOs. Currently, 67 cities and regions are members of the network. The aim of the Polis Conference was to contribute in tackling local challenges through urban transport innovation. The Conference gave the opportunity to more than 500 participants representing numerous cities and regions and a wide range of other transport stakeholders, both public and private, to exchange experiences and views on the present and future of urban mobility, the challenges and relevant innovative ideas and solutions. 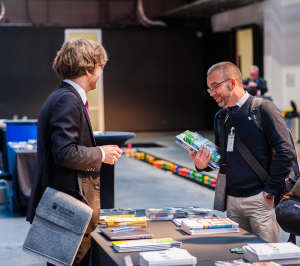 The 100 presentations, divided into parallel sessions spread over the two days of the event, facilitated the dialogue and highlighted the emergence of technology in urban transport as part of their future. The presentations delivered during the Polis Conference 2017 can be found here, while the photos can be found here. Egypt’s determination in promoting important road transport regulatory reforms, was reaffirmed during the last mission to Cairo, from 3 to 7 December 2017, of the EU funded EuroMed Transport Support Project experts Mr. Michalis Adamantiadis, Team Leader and Road Freight Transport Key Expert and Mrs. Tatyana Karantniuk, Road Transport Regulations Expert. Aimed at increasing efficiency, safety and high-quality performance of road transport operations and contributing to the economic development of the country, the well-being and job creation for the population, Egyptian competent authorities and key stakeholders from the public and private sector, under the Ministry of Transport and the Ministry of Interior, have been in close cooperation during the past two years with a multidisciplinary EuroMed Project team of Experts consisting of transport regulations Experts, transport economists, transport lawyers and transport engineers. introducing better standards for vehicles of all categories and their obligatory periodical technical inspection, ensuring the circulation of safer, cleaner and energy efficient vehicles. During the mission, the EuroMed team had productive meetings and fruitful discussions with the Management of the Land Transport Regulatory Authority: Mr. El Morsey Elhelw, Chairman, Mrs. Hanan Abdel Wahed, Manager, Mr. Emad el din Abdelmodal, Activity National Focal Point, Amgad Abdel Alam and Rabab Sobhi, Transport Planning General Managers and Thematic Focal Points on priority reforms. Issues discussed included: the setting up, organization and functioning of a National Road Transport Regulatory Committee and Thematic Sub-committees, to coordinate actions amongst competent ministries and key stakeholders; the appointment of Thematic Focal Points, their job descriptions, expected deliverables and action plans; drafting the Executive Regulations for the promotion of priority actions, starting with those on the access to the profession and market of road transporters and transport agents and their registry. A full day of the mission was devoted in a meeting with the Deputy Minister of Interior, H.E. Mr. Khaled Aly, Brigadier General Ayman Eldabaa, Secretary of the National Road Safety Council, Colonels Ahmed Elhassany and Ahmed Ghazy. The relevant thorough discussions concentrated on the new Traffic Law; issues relating to overloading of trucks; maximum authorized weights and dimensions of heavy vehicles; obligatory installation of speed limiters; driving and rest times of professional drivers and their controls; training of professional drivers; type approval of vehicles and their periodical technical inspections; and Egypt’s accession to important road safety related UN Agreements and Conventions, including the Vienna Conventions on road traffic and road signs and signals of 1968 and the UN Agreements of 1958 and 1997 on the Harmonization of Vehicle Regulations setting technical standards of vehicles and their mandatory inspections. A meeting with H.E. 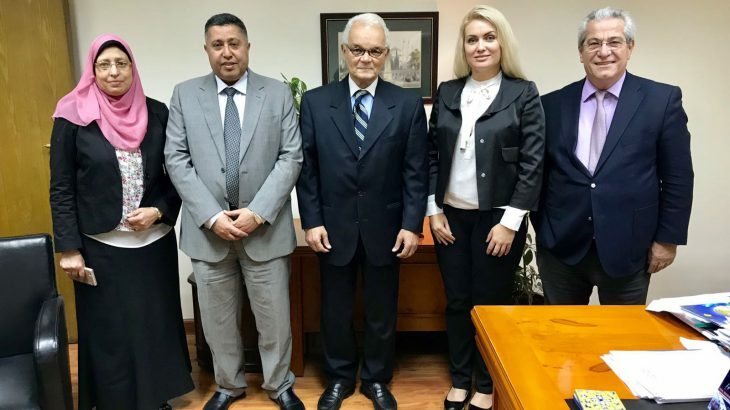 Ambassador Allam, Advisor of the Ministry of Transport and EuroMed National Coordinator, Mr. El Morsey Elhelw, Mrs. Hanan Abdel Wahed, and Mr. Emad el din Abdelmotaal offered the opportunity for discussion on various transport policy issues and the way forward. 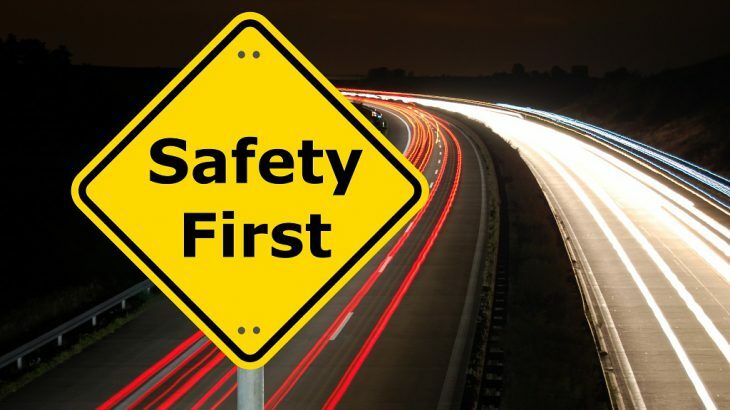 A very precise follow up action plan to be implemented during the following weeks and months includes: a meeting of the EuroMed Team Leader with the National Road Safety Council in December 2017; the organization of a workshop on vehicles type approval and periodical inspections, to be hosted by the Ministry of Interior at the end of February 2018, followed by a study tour and visit of type approval and periodical technical inspections centers in Madrid, in April 2018; joint meetings of the Thematic Sub-committees with the EuroMed Transport Support Project team of Experts during the next mission of the team in Egypt (tentatively scheduled to take place in March 2018); the continuation of drafting of the Executive Regulations on all priority issues during the following months and the next mission. 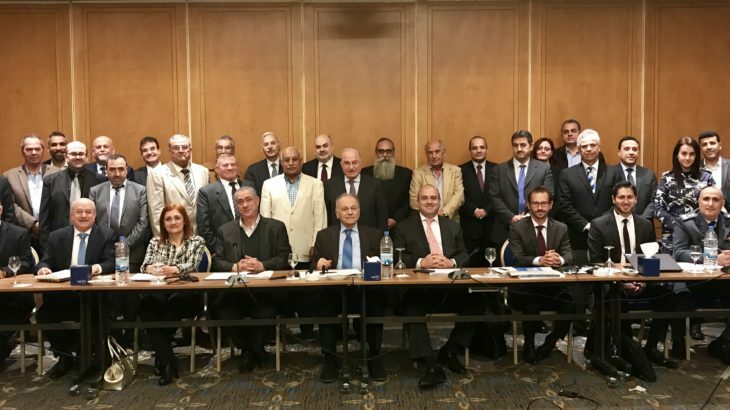 The EuroMed Team is expected to continue offering Technical Assistance to Egypt in support of the country efforts of introducing the necessary reforms in the field of road transport. A Workshop on the evaluation of the economic impact of the application of the Digital Tachograph took place in Tunis on 23 and 24 November. Among the speakers and participants were representatives from the Ministry of Transport, the Technical Agency for Terrestrial Transport, the Traffic Police, the National Guard, the Ministry of Economy, the “Borj Cendria” Tranport and Logistics Vocational Training Center, the National Agency of Legal Metrology. During the Workshop, Tunisia’s commitment towards improving road safety conditions was reaffirmed and further strengthened through the intention of the application of the Digital Tachograph. 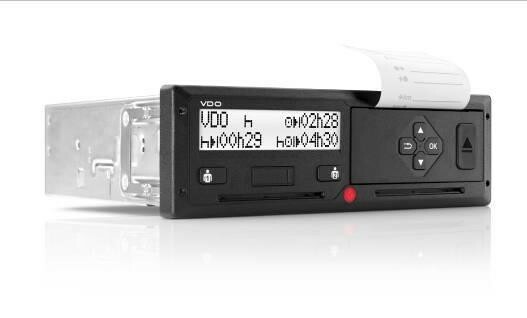 “By taking a large technological step forward, with the introduction of the Digital Tachograph in the country, the level of road safety is going to raise, benefitting not only the professionals themselves, but the population as a whole. However, we should carefully consider how and when the implementation should take place, because of the potential impact it can have in the economy of the sector”, stated Mr. Fraj Ali, Director General, Land Transport Directorate, Ministry of Transport, Tunisia. For this reason, the EuroMed Project supports Tunisia in the elaboration of an Economic Impact Assessment from the implementation of the Digital Tachograph in the country. The Workshop concluded with the confirmation of the engagement and cooperation of all stakeholders in the country. The presentation that was done during the Workshop can be found here.